The crash of pucks on boards is omnipresent at local ice rinks around the country. No matter where you look, you’ll see the same youthful exuberance from the teams, as players young as six shred the ice on their way to the puck. You’ll notice the same proud and loud parents cheering and shivering in the stands as they sip their drip coffee from the popup concession stand in lobby. Nobody knows what life holds for these fledgling hockey players, maybe they’ll end up in the National Hockey League or maybe, like Zac Mindermann, they’ll end up answering a higher calling. Zachery Mindermann, 25, grew up in Spokane, Washington where he played for several different youth hockey organizations including Spokane Americans Youth Hockey Association, who at the same time were turning out future NHL stars like Tyler Johnson. Mindermann bounced to other organizations in the area but eventually returned to SAYHA to play on the 16u and 18u teams. After graduating high school in 2012, Mindermann’s immediate future didn’t involve hockey. He spent four years on active duty all around the globe, beginning with boot camp in San Diego before heading to North Carolina for further training before calling Twenty-nine Palms, California, home. After initially considering Arizona State University as an option, Mindermann says that he changed his mind after his friend, with whom he expected to attend school, reenlisted. He then turned his focus to schools closer to home, on the east side of the Cascade mountain range in Washington state, hoping to return to the ice when he returned to classes. Zac Mindermann joined the EWU team prior to the 2016 campaign and has been a driving force in the locker room since his arrival. Head Coach Pat Hanlon noted that he has a natural ability to lead. He was named an assistant captain at the beginning of his freshman season and was given the captain’s ‘C’ later that year. The Eastern Washington hockey club was in a state of surprise growth when he joined the team. They even ended up with a coaching change mid-season his freshman year. The following offseason, Pat Hanlon would move from an assistant role with another team to the head coach for Mindermann’s club. Throughout the changes, he credits his military service with his ability to keep a level head and be a role model for the rest of team. That leadership drive was never more apparent than during the 2017-2018 campaign when Mindermann suffered a hand injury off the ice. He was expected to miss an extended period while in a cast but he put his perseverant mind to work, and with help from Allen, they crafted a new glove that would fit over his cast and allow him to get back on the ice. His teammates say it’s that level of dedication that allow them to look to him for advice and guidance. Since joining the club, Mindermann has used his leadership skills and his work ethic to help lead the team from playing in a small four-team regional conference to now playing in the PAC8, a twelve-team west coast power conference in the ACHA, with a chance to make it to the regional or even national tournaments. 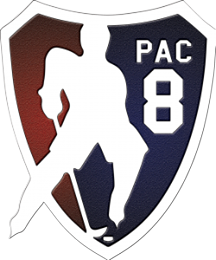 The Eastern Washington University Eagles Hockey Club plays in the Pac-8 conference, part of the American Collegiate Hockey Conference's Division II. We are the 2016 & 2018 NPHC Champions.